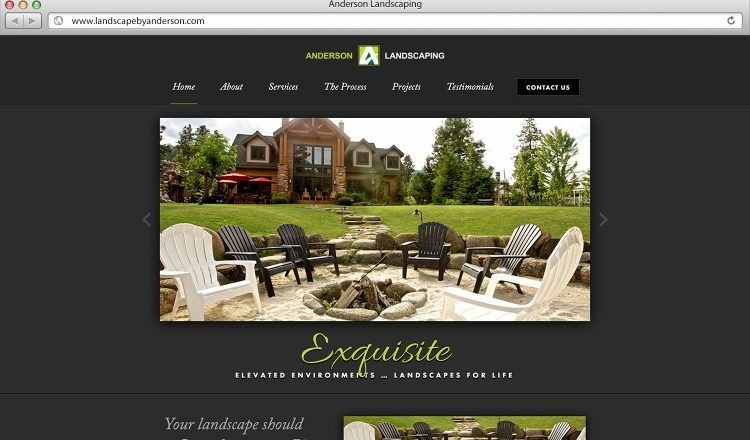 Form married function in this classy, clean site for Anderson Landscaping. This company has built a reputation for gorgeous, expansive landscape work all around the Wenatchee Valley. With beautiful photography of many of their locations the design objective on this site was to compliment the photos and let the work speak for itself. Dark blacks and touches of color and script fonts lead to a rich, luxurious feeling that was exactly what the client wanted. The site had two objectives: first to be a beautiful outward-facing experience for high-end customers looking for a landscaper of the highest quality. Secondly the team envisioned this site as a repository of images they could call on when selling to customers. Does a potential client want some rock work around their pool? 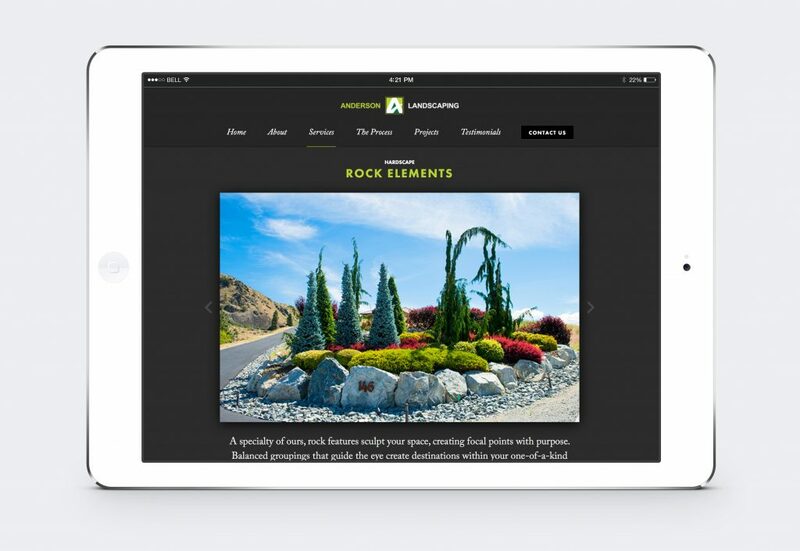 Simply pull up the rock work gallery on the tablet you have with you and show them examples of all the beautiful projects the company has completed. We built the system – a powerful backend gallery that could handle categorization of each photo. The Anderson team then loaded this site with hundreds of photos, meticulously tagging each one so it could easily be pulled up on demand. In conjunction with a campaign of print ads with visually cohesive design (also done by Apt Design), Anderson Landscaping soon had the work pouring in – enough to hire more staff and be booked out for a year in advance! That’s the power of a website and marketing campaign that speak directly to the target market.